Discussion of the Pentagon taxi cab driver's impossible account. I think this forum is ready for a nice indepth look at Lloyd's account. 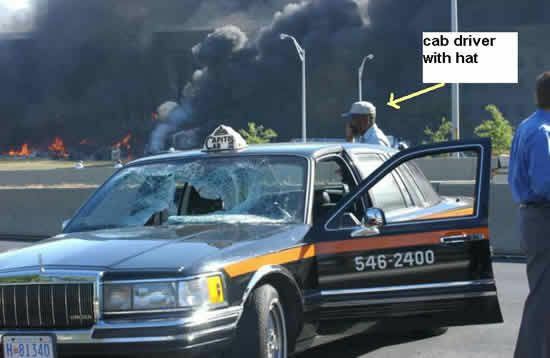 For those that don't know Lloyd England was the taxicab driver whose car was allegedly speared by a light pole hit by flight 77 on 9/11. However his account is physically impossible. Conisder this a challenge to all jref'ers to demonstrate otherwise. My claim about the impossibility of Lloyd's account was made after months of research & debate, physical examination of the same style light pole that allegedly speared his cab, and interviews with Lloyd himself in person. Since this is my conclusion the logical assumption would be that Lloyd is lying. Why he would lie I do not know and I do believe there are possible scenarios where he would remain innocent or a victim. He could be under duress; his life, family, or livelyhood threatened. Or it's even possible he could be manipulated mentally and not even be aware that his story is untruthful. He exhibits traits of senility which would naturally leave him more vulnerable to mental manipulation. Bottom line.....without a doubt........his account is physically impossible. Lloyd still keeps a torn dollar bill signed by a stranger and dated September 11, 2001. It marks a day he has struggled to survive for two years. But Lloyd’s story is different from most other Survivors’ Fund clients. 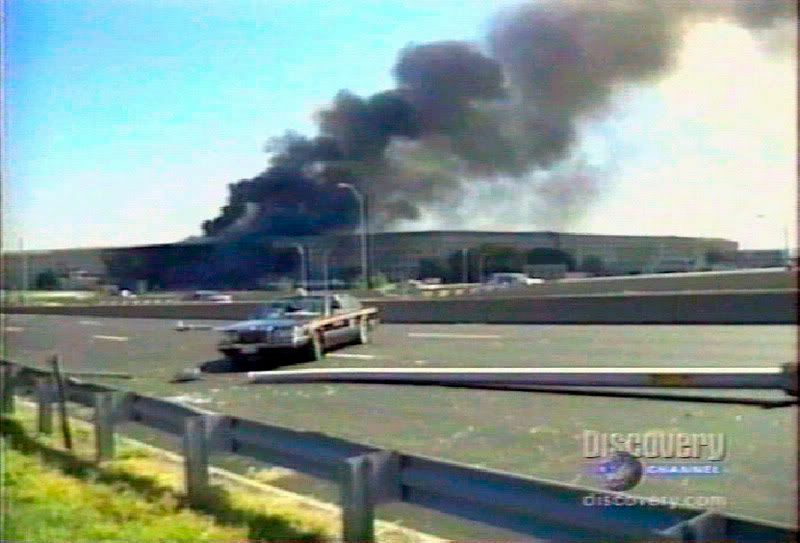 His life and livelihood was changed by the path of Flight 77 before it hit the Pentagon. Lloyd, 69, began the morning of September 11, 2001 like most days, driving his taxi cab. 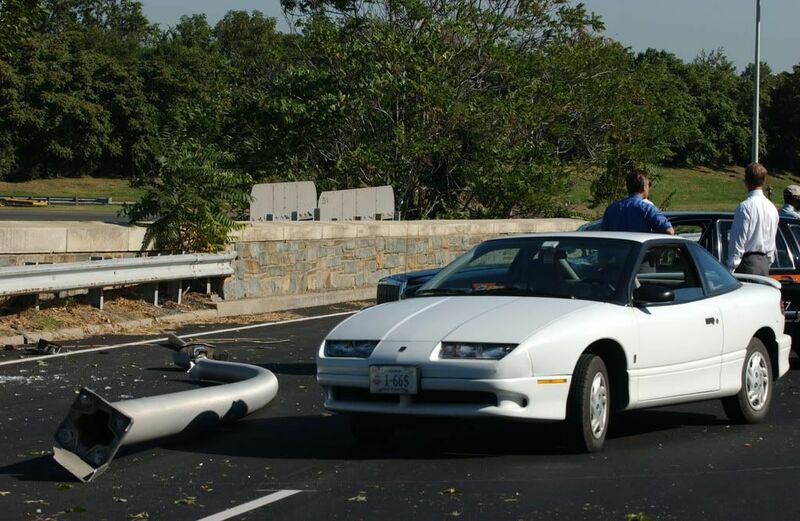 A passenger in Rosslyn told him what had happened at the World Trade Center so he turned on his radio and headed home. As he approached the Navy Annex, he saw a plane flying dangerously low overhead. 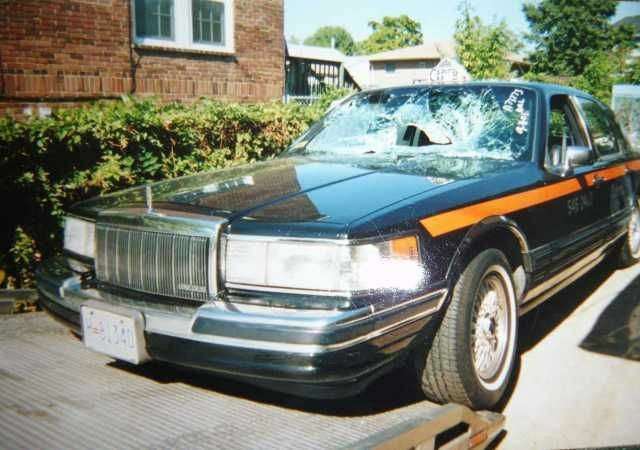 Simultaneously, the plane struck a light pole and the pole came crashing down onto the front of Lloyd’s taxi cab, destroying the windshield in front of his eyes. Glass was everywhere as he tried to stop the car. Another car stopped and the driver helped move the heavy pole off Lloyd’s car. As they were moving the pole, they heard a big boom and turned to see an explosion. The light pole fell on Lloyd and he struggled to get up from underneath, wondering what had happened. Police started to arrive on the scene and forced Lloyde to move. They urged the bystanders to leave the area in case there was another explosion. Lloyde was forced to abandon his car in the middle of the street to begin the long walk home. As he made his way on foot up Route 395, he met a man who had been working at the Pentagon. Walking side by side they found a dollar bill lying in the road. They picked it up, tore it in half, each signed one half and traded with each other. Parting ways each took half of a torn dollar with a stranger’s name on it. Lloyde still keeps this tangible reminder of his experience on 9/11. The strangest part of this account is that he got speared by the pole, stopped the car, got out, was appoached with help, started removing the pole, and THEN heard the impact. Naturally this is impossible since he was on route 27 about a few hundred feet from the Pentagon and the plane was reportedly traveling around 500 mph. This could be written off as misinterpretation by the author of the article and Lloyd has never made that claim again so we'll give Lloyd the benefit of the doubt on that one and leave it at that. But one fact that has never changed in his story is the fact that he stopped his car with the speared light pole STILL IN HIS CAR and he got help from somebody to remove it but fell down in the process. According to Lloyd it had to be removed from the hood of his car with the help of a stranger who he claims didn't even bother to "say a word". Yet the hood remained unscratched. I had a tour of the VDOT (Virginia Dept of Transportation) on two separate occasions and they showed me the same style poles . Lloyd says the top of the pole was bent and that this is the part of the pole that was in his car while the much heavier base end was sticking out of the window. The pole was 40 feet long and only the top part was severed off. There is no question that his claims are impossible so yes I believe it is likely that Lloyd is lying. But I couldn't know the circumstances behind his involvement so as I said he may very well be a victim. So for the record.......I believe 9/11 to be an inside job and I am certain at this point that operatives were used as planted witnesses at the Pentagon if only a few. Although I have my beliefs as to some that may have been complicit I have not outright accused anyone of this. Now that I know the plane flew on the north side of the citgo station I have been 100% verified in my belief that Lloyd's account did not happen as he claimed. I doubt I will never know for sure if he was merely a victim or an accomplice. I missed the part where you proved the impossilbilty of his claims. I guess you missed the part of science class where they discussed gravity and physics. I have not outright accused anyone of this. That's because you are a coward. It's because you know you don't have any evidence but still want to play your childish games. You want to play your games but are to much of a coward to accept the consequences of your actions. Grow up LT, for once be a man. Either you have something or you don't. If you have something then grow a pair, stand up and take your case to the police, DA, insurance companies etc. But you won't because you are a sniveling coward, playing little boy games in an adult world. For 15 years I never put anyone on ignore. I felt it important to see everyone's view point. Finally I realized the value of some views can be measured in negative terms and were personally destructive. Frankly, I'm astounded. I'll leave it to those playing our home game to guess how. I have obtained extremely compelling evidence, and compiling it, and will present it to the world including the authorities. But since of course the 9/11 movement has been marginalized as "nuts" and the implications of this don't sit too well with people in position of "authority" it is necessary to make sure that it becomes as public information as possible. So we are preparing to make that a reality so the authorities will have no choice but to address it. Care to address the topic of the thread? Argument from personnal incredulity, plain and simple. Still don't see it. Where's the gravity and physics come in? I guess a bright boy like you will have no problems presenting the hard physics behind the following assertion. Lets see what you got. Don't worry about dumbing it down for me, I've done quite a few traffic accident investigations. Some of them even included damage to objects such as bridges and light poles. Go right ahead and show me the numbers you ran to make this determination, I don't think I'll have a problem following your work. You did generate calculations supporting your following statement, right? After all, its a very clear statement, complete with bolding. You're not just asking questions anymore. Wowee...first time I've seen a pic of the pole that went through his windscreen. What are you going on about? There is quite a bend in the main pole that hit him! Why should it have smashed his hood? You research skills is lacken! Last edited by Dog Town; 4th December 2006 at 10:58 PM. Gravity? Did the poles float away or something? Ah, yes, this is what we might call the putting hood argument from incredulity. Like everyone else I cannot fathom how Lloyd's claim could be impossible. Are you for real lighty? Is this what you wasted our time with? keimetha tois keinon rhémasi peithomenoi. A fan of fantasy? Check out Project Dreamforge. So that's it? That's your "in depth" look into this particular account? No calculations, no expert opinion, no graphics, no actual science or physics? Wow, this is not looking good for you Lyte. Wowee...first time I've seen a pic of the pole that went through his windscreen. What are you going on about. There is quite a bend in the main pole that hit him! Why should it have smashed his hood? You research skills is lacken! You guys can play dumb all you want. The pole was close to 40 feet long. The distance from the back seat of the cab to the windshield is a maximum 7 feet or so. That leaves minumum between 20 and 30 feet of the much HEAVIER base end of a 247 lb pole to be sticking outside of the windshield. No calculations are necessary to understand where gravity would force the base end of the pole to go. Obviously it would have to touch the hood. 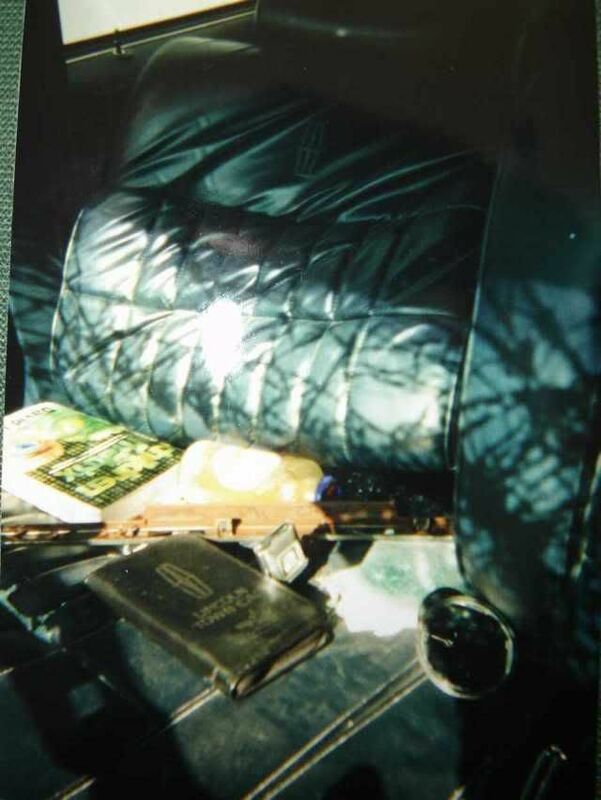 you got a pic of his backseat with no rips or tears? The end of the pole was bent. You said so yourself. Seriously, are you for real? With drawings like this you HAVE to be KT. Or are all you people exactly the same? ETA. Just did a conversion on the weight of the pole. It's only 112kg. That's an average of a mere 2.4kg per foot of pole. that's not heavy, dude. Last edited by gumboot; 4th December 2006 at 11:12 PM. LOL! I apologize for trying to take you seriously, it'll never happen again. To be honest I'm disappointed. I somewhat foolishly hoped they'd actually produce something decent in the way of earth-shattering evidence, so we had something we could really look into. 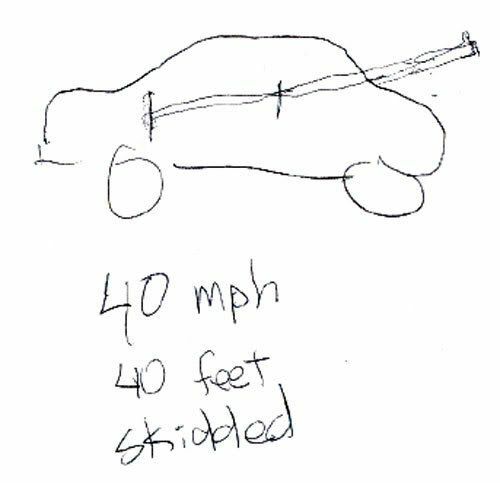 But if this is an example of the sort of "solid evidence" they use to discredit an eye witness, I have very little faith in their upcoming wind-breaker. Colour me disappointed. Heloooohoo! The poles fell in freeeefaaaaall! And we all know thisssissssnotpossssiiiiiible! Wake up! You sceptic schmucks! 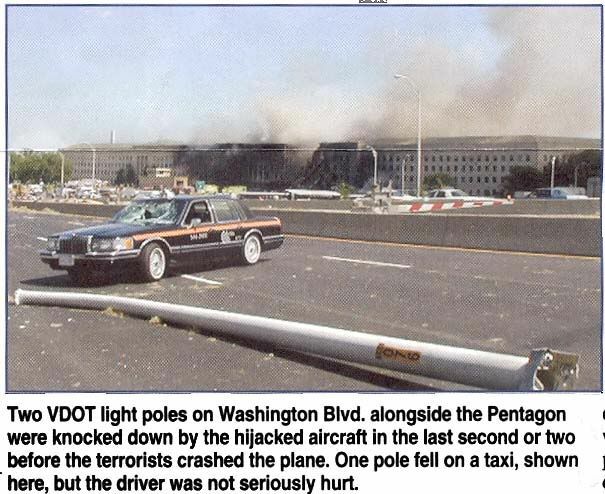 Lyte, seriously, what the ******* does a freaking pole flying inside a freaking cab driver's freaking car have to do with the freaking 9/11 conspiracy? c- the governement brainwashed him into believing it happened, for no freaking reason. Now pick the most logical assumption. No but the passenger seat was not ripped even though it was allegedly knocked back by the pole. Even if the back seat was ripped the notion that it could hold up the MUCH greater portion of a 40 foot 240 lb pole is quite ludicrous. And the passenger seat isn't knocked flat so that means the angle of the pole would be even closer to the hood. I am so looking forward to showing this thread (and this post in particular) to my staff tomorrow. This was truely worth the wait. Feel free to respond to my earlier post at what ever time its convenient for you. I'll just assume that you do not possess even the most basic understanding of physics in the meantime. One other thing, what is your source for the VDOT light pole specs that you cite? But this is not what Lloyd claimed. Are you calling Lloyd a liar? The back seat of my car would perform without a hitch if a rugby player sat on it, and this taxi's seats look much nicer than the ones in my car. Seriously, let go of the "40ft 240lb" mantra. It's no more impressive than "270 degree turn". Did you ever examine the seats, front and back? How about the inside of the roof? NO? You are a sad investigator, sad! Columbo would smack you down, and he's like 90! Pfft...joke! I may be the only one thinking this but...ok, let's pretend your version is true...so what? The Union of Washington Cabbies were also part of the conspiracy? 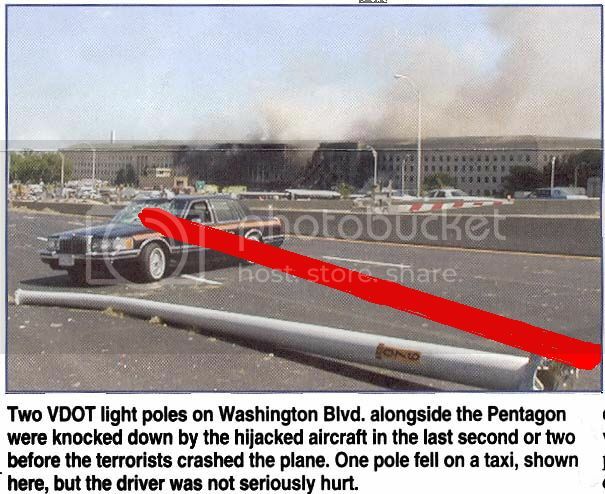 If the 757 missed, was he set to plunge his nuclear tipped cab into the building? How does this affect, in any way, the grand conspiracy ideas involving everyone up to, and including, the Guardians of Oa? Since you don't use any formulae or science, at least wrap it up in a nice little tale. Comedy is when you fall into an open manhole and die. Why would you care if you find the post so comical? You clearly find there to be sound logic in my point if you are curious about the source of the posted specs. I was there with Russell Pickering the first time who obtained the data from them direct and created that image. I already addressed your post. My see-saw analogy renders any need for "calculations" moot. Unless you don't believe in gravity. Well I had always been reluctant to quote a Troofer in my sig line, unlike many others, but I just can't pass this one up. According to the article it is what he claimed. Go back and read my post. I acknowledged that it's POSSIBLE the reporter made a mistake in that account. 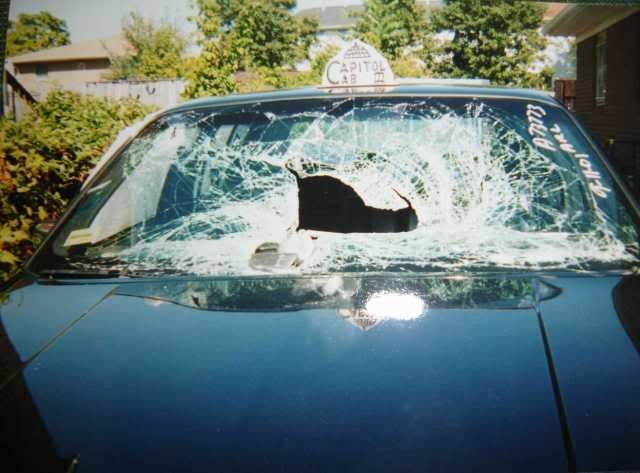 So the government conspired not only to kill 3000 Americans, but also to smash this one cab driver's windshield. You do realize that a person can be mistaken without being a liar don't you? No, can you provide me with a quote where he stated that the pole speared the windshield head-on? Take a look at these two photos. Since the pole was likely fairly heavy, they would've let it fall once it was clear of the car. If the pole hit head on, they had to have carried it over to where its laying in the photo. That makes no sense. You can also see how the windshield is matted down as if the pole were laying on it sideways..
What in the article is inconsistent with a lateral strike? I posted the image that he drew. Watch the "comic relief" portion to get Russell Pickering's reaction about it all on the way home.